MOTORISTS in Lewes have more ways to pay for their on-street parking as new technology is installed across the town. 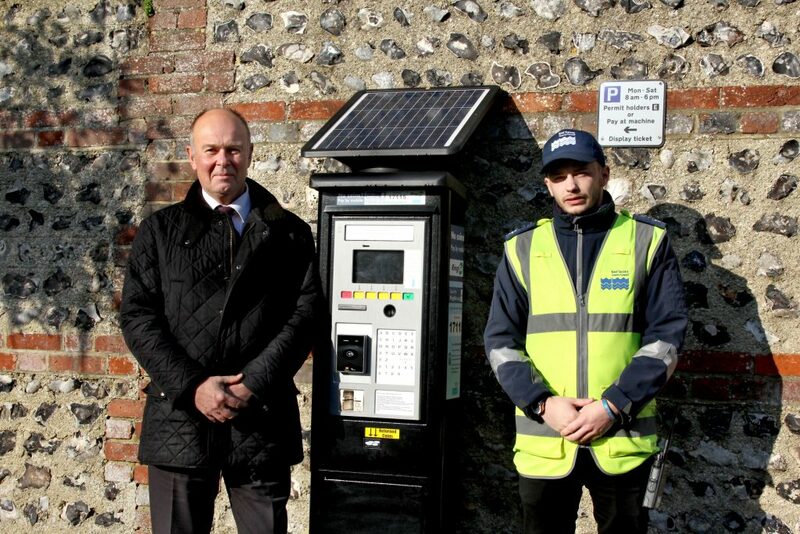 East Sussex County Council is nearing the end of a scheme to replace all 87 parking machines in Lewes with new, state-of-the-art equipment which accepts credit and debit card payments. The new machines allow drivers to make chip and pin or contactless card payments or pay by cash in the traditional way, while they can also pay on their mobile phone using the RingGo system. Work on installing the new machines in Lewes began in January and the programme is due to be completed by the end of this week. Cllr Nick Bennett, county council lead member for transport and environment, said: “The new machines we’re installing offer the very latest, state-of-the-art technology available on the market. As well as accepting more forms of payment, the new machines also include a coloured screen which provides step-by-step guidance to customers. The new technology was rolled out in Eastbourne during the autumn and the final phase of the scheme will see new machines installed in Hastings in the spring. This entry was posted in Parking, Transport and Environment on January 28, 2019 by karenb.